GERMANTOWN, TN, April 16, 2019 – The TownePlace Suites by Marriott brand recently selected Whitney Davis, Sales Manager for McNeill Hotel Company’s TownePlace Suites Auburn (AL), as its 2018 Sales Associate of the Year. Germantown, TN - April 16, 2019 -The Courtyard by Marriott brand recently selected McNeill Hotel Company’s Amy Stuart, Director of Sales for the Company’s Courtyard Nashville Green Hills, as its 2018 Direct Sales Leader of the Year. GERMANTOWN, TN, April 16, 2019 – McNeill Hotel Company’s TownePlace Suites Hattiesburg has been officially recognized by Marriott, earning its Silver Circle Award. How Will the 2020 Elections Affect the Hotel Industry? The Homewood Athens held a ribbon cutting on Wednesday night to celebrate the new opportunity for Athens visitors looking to enjoy the Classic City. The hotel offers studio, one-bedroom and two-bedroom options. They host a complimentary evening social, which consists of a small meal with wine, along with other amenities such as a patio with BBQ grills and a grocery shopping service. 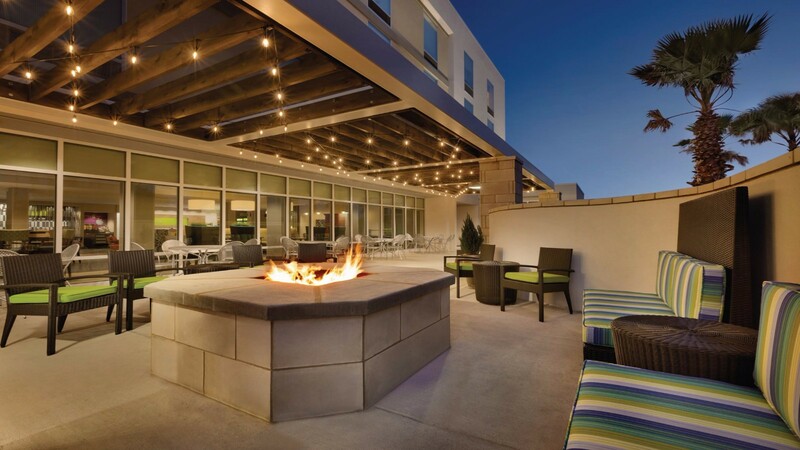 McNeill Hotel Company today announced the 4-story, 110 suite, Homewood Suites by Hilton Boise located at 7957 West Spectrum Way in Boise has completed a $2.7M renovation from guest suites to public areas such as their lobby and breakfast area. "Our renovation transformation reflects our continual commitment to deliver guests the highest quality accommodations, service and convenience they have come to expect from staying at Homewood Suites by Hilton Boise," said, Sargis Mnatsakanyan, General Manager. GERMANTOWN, TN––McNeill Hotel Investors (“McNeill”) announced today the acquisition of the 4-story, 105-room all-suite extended stay Home2 Suites Mobile (AL), adding to the company’s growing portfolio. The announcement was made by Phillip McNeill, Jr., the company’s Chief Executive Officer. The Home2 Suites Mobile is situated on the southeast quadrant of Interstate 65 and Exit 1, at the corner of Bolling Brothers Boulevard and Satchel Paige Drive in Mobile, Alabama, and features approximately 750 square feet of meeting space, a fitness center and a relaxing outdoor pool. There are many ways to break up the routine of hospitality, while at the same time reinforcing a sense of teamwork, involvement with community and, in a gentle way, instilling a healthy sense of competition. This article will explore ways to keep hospitality entertaining without going overboard, especially for those good people who serve our guests-reinforcing the clear vision that "it's fun to be in this career field." McNeill Hotel Investors (McNeill) announced today the Grand Opening of the 130-room, select service, all-suite Homewood Suites by Hilton Athens, adding to the companys growing portfolio and expanding its presence in the Athens, Georgia market. The announcement was made by Phillip McNeill, Jr., the companys chief executive officer. Germantown, Tenn. – November 7, 2018 – McNeill Hotel Investors ("McNeill") announced today that it has acquired the 95-room, select service, all-suite Home2 Suites by Hilton Gainesville (Florida), adding to the company’s growing portfolio and its geographic footprint in Florida. The announcement was made by Phillip McNeill, Jr., the company’s Chief Executive Officer. REPORT FROM THE U.S.—When Hurricane Michael barreled into the Florida Panhandle and then Georgia last week, some hotels in its path stayed open, accommodating guests and staff who had nowhere else to go, even as the properties suffered damages from the storm. Others closed temporarily and prepared for the worst, which for some ultimately never came. Hear from Mark Ricketts as he is quoted in the article regarding our hotels in Destin, FL. Germantown, Tenn. – Oct 3, 2018 – McNeill Hotel Investors ("McNeill") announced today that it has acquired the 137-room Homewood Suites by Hilton in Carmel, Indiana, expanding its geographic footprint to the Midwest and adding to the company’s existing portfolio of 18 hotels owned or managed by the affiliated McNeill Hotel Company. The announcement was made by Chief Executive Officer Phillip McNeill, Jr.
Chris Ropko, chief financial officer of McNeill Hotel Company, told LODGING that if there is a downturn in the hospitality industry, he expects it will be caused by supply rather than macroeconomic circumstances. “I think it’s going to be constrained to very specific markets. At the end of the day, we’ll be able to manage through it,” Ropko said. Click the link to read the full article. Hotel Business conducts an annual survey of hotel owners and developers to reveal the largest companies based on the number of rooms managed in the portfolio. McNeill Hotel company is ranked #56 with 17 hotels and 1855 rooms in our portfolio of Marriott and Hilton hotels. Home 2 Suites by Hilton ranked number one on hotel occupancy rate for the second quarter of 2018. The Waco area ranked number one for hotel occupancy rate in the state for the second quarter of 2018. Click the link to see the story on KXXV Central Texas News Now. Jennifer Driscoll, VP Revenue Management, McNeill Hotel Company, is quoted in the latest edition of Hotel News Now. The article is focused on the subject of predictive pricing tools and how hoteliers are figuring out ways to benefit from this technology. To read the full article click the link below. Mark Ricketts, President & COO, McNeill Hotel Company has a new article published on HotelExecutive.com. Click the link to read the article. Mark Ricketts, COO was quoted for the latest article in Lodging Magazine, "After the Boom: Smart Investment Strategies for Today's Reality". Click the link below to read the article. Keeping the rooms of a hotel property fully occupied with guests that we serve well and from which we generate a reasonable profit is no easy task. It requires a sound operating model; a skilled and motivated staff at all levels of the organization; and lots of elbow grease, i.e. hard work. It also takes getting our name, as an individual property and as an organization or affiliated group of properties, out there loud and clear. To read the full article click the link below. Chris Ropko, CFO McNeill Hotel Company, is quoted in Hotels' Investment Outlook for June 2018. Follow the link to read the full article entitled "Shining a Spotlight on US Development". Find out Mark Ricketts' thoughts on delivering excellent guest service, the competitive hotel market, and the current trends in the hotel industry. Follow the link to read the article in Lodging Magazine. Check out the latest article in Lodging Magazine that features our TownePlace Suites Auburn and a quote from Mark Ricketts, our President & COO. Click the link below to read the article. AUBURN, AL, May 1, 2018 – The TownePlace Suites hotel in Auburn, Alabama has been officially recognized by Marriott, earning multiple prestigious awards for the McNeill Hotel Company property. General Manager Emily White has earned Marriott’s Diamond GM of the Year Award for 2017 and staff member Mary Munday has earned Marriott’s Service Team Member of the Year Award for 2017. HATTIESBURG, MS, May 1, 2018 – The TownePlace Suites hotel in Hattiesburg, Mississippi has been officially recognized by Marriott, earning two prestigious awards for the McNeill Hotel Company property. General Manager Beth Burns has earned Marriott’s Diamond GM of the Year Award for 2017. The hotel also won Marriott’s Golden Circle Award. Previously, the TownePlace Suites Hattiesburg had earned Marriott’s “Opening Hotel of the Year” award, as well as the “Sales Ramp Up” award, selected by the Select Service & Extended Stay Hotels Group – The Americas. DESTIN, FL, May 1, 2018 – The Fairfield Inn & Suites in Destin, Florida has been officially recognized by Marriott, earning the Bruce Reed Rally to Serve Award for the McNeill Hotel Company property. Marriott’s Bruce Reed Rally to Serve Award is a singular honor, given to only one Fairfield Inn & Suites property each year in recognition of its community contributions. It’s been reported that millennials decide within their first 48 hours with an organization whether they will stay on for an extended period of time. Talk about first impressions being the most lasting! This article will discuss some best practices and ideas in making any new hire feel welcome to a hospitality organization while “coming up to speed.” It will also consider strategies and techniques that will help keep unproductive misconceptions or misunderstandings from arising between employer and employee. Click the link below to read the full article at www.hotelexecutive.com. Germantown, TN, March 19, 2018 – McNeill Hotel Company, a growing nationally-recognized hotel owner, developer, and manager, announced today that it has hired respected industry executive Chris Ropko to serve as the company’s Chief Financial Officer. Phillip McNeill, CEO of McNeill Hotel Company, made the announcement. The new Hampton Inn and Suites Germantown has been honored with the Wall of Fame Award for the Third Quarter of 2017! Based on overall TQS, this award honors only the top 15% of hotels in the Hampton brand. "Our guests are enjoying the new hotel and they know that we love having them here." Rebecca Thompson GM.